In the battle for top tech talent, the wrong hire can be devastating. So do your tech team the favor of watching out for these warning signs before offering the job. 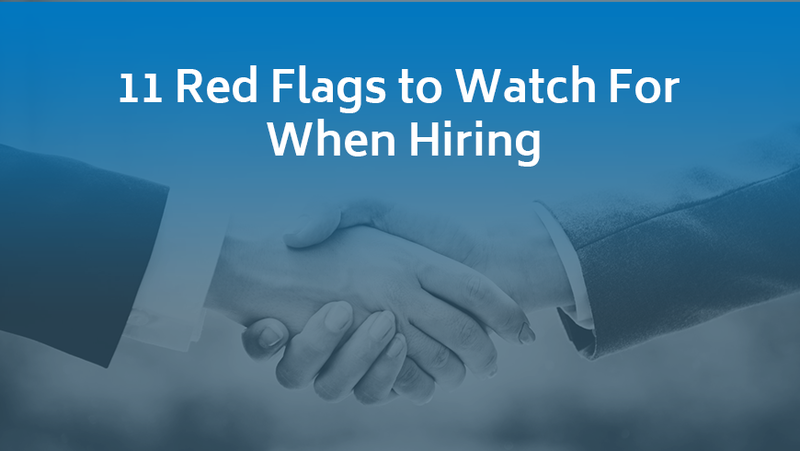 Expert interviewers say that a number of troubling warning signs, when given attention, can help avoid bad hires. And when — perhaps against better judgment — these warning signs are ignored, what follows is discord, missed deadlines and, sometimes, a toxic work environment. Here are the most frequent red flags, recounted by those who’ve learned to tune in to suspect habits and flat-out deal breakers. Job candidates are frequently warned to keep things clean on social media when they’re applying for positions. And yet, somehow, even during the window of the hiring process, red flags emerge. An over-the-top online presence can be a predictor of potential problems to follow in the workplace, says Matt Wilgus, a practice director at Schellman & Co. If a candidate’s career goals are in conflict with the organization’s goals, it’s better to find out up front, Wilgus says. “For example, if the interviewee is looking to perform 100 percent research and our positions are client-facing and development-centric, it isn't a good fit,” he says. Jaime Laufer, head of people operations for design and marketing firm Digital Surgeons, calls this situation a misalignment of passions. “The candidate could have all of the required skills and experience and a personality that complements your culture,” she says, “but if their goals don’t align with your organization’s offerings or capabilities, you’ll be really disappointed in a year when the candidate leaves.